I don't know why I have never made a tart before yesterday. Maybe I was intimidated by my copy of a Martha Stewart Pies and Tarts book that I had in my kitchen, but never used. But 2014 is the year for me to try new things, in and out of the kitchen. 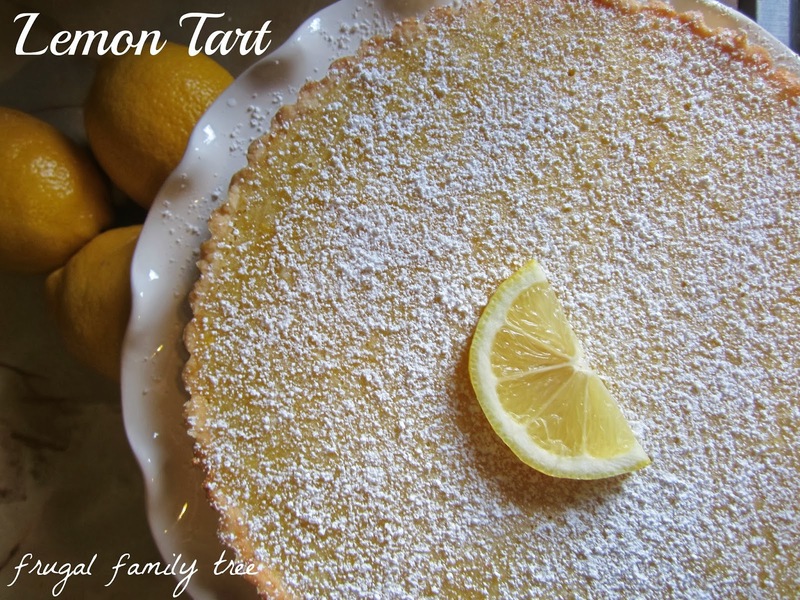 So, I made this lemon tart with a really tasty shortbread crust, and a zippy lemon filling. And it was easy, who knew, right? The tart took four medium lemons, so I bought a bag of them, with three left over for tea, and a lemon pound cake I want to make. Next time I will sift the flour into the filling, because it was a little hard to get it to all dissolve into the filling. But it came out fine. Combine butter, 1/2 cup sugar, vanilla extract, and salt in a large bowl and mix together with a hand mixer until smooth. Stir flour into butter mixture to make a smooth dough. Press dough into a 9-inch tart pan, refrigerate crust for 30 minutes. Preheat oven to 350 degrees. Bake tart shell until light golden brown, 15-20 minutes. 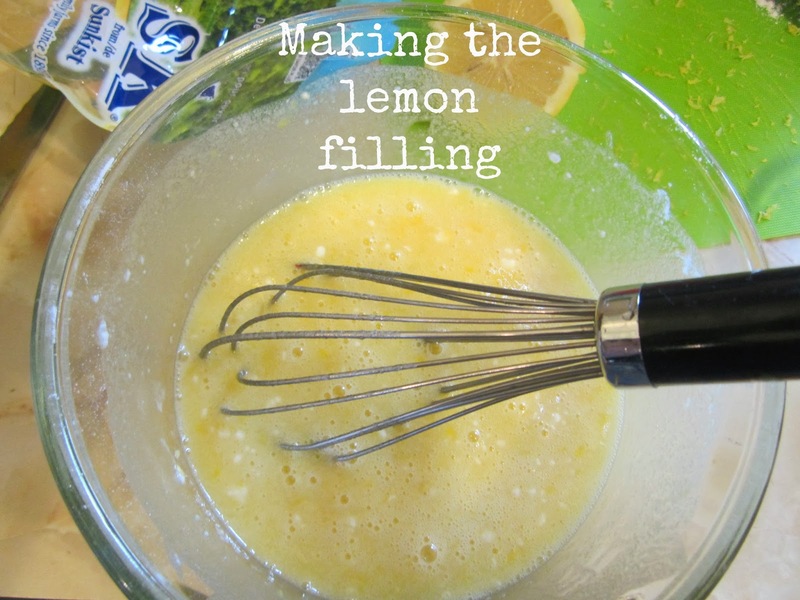 Whisk together in a bowl, sugar, eggs, lemon zest, lemon juice, and 1/2 cup flour until filling is smooth. 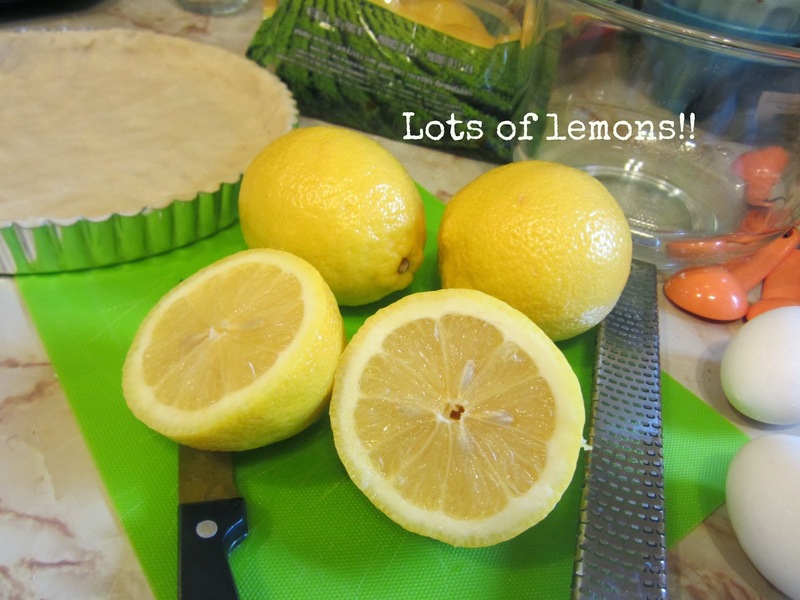 Pour lemon filling into crust. Bake tart until filling is set, about 20 minutes. 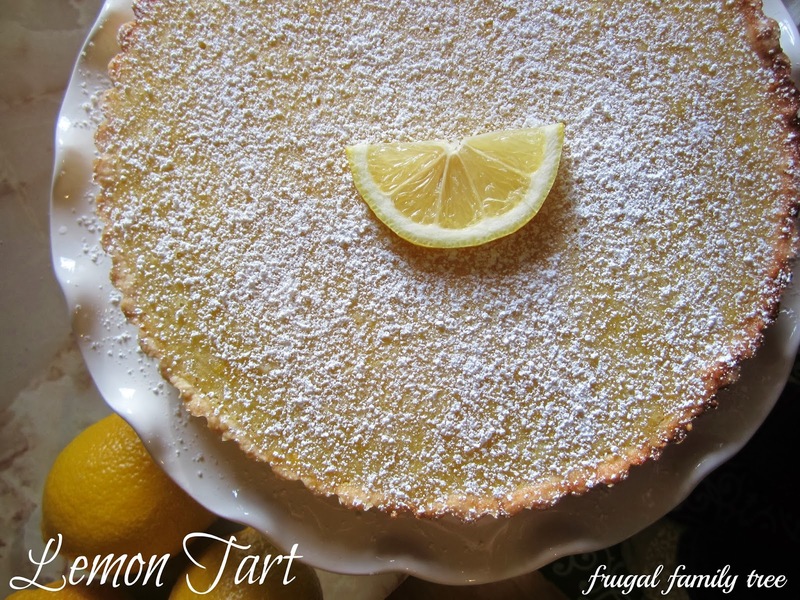 Let tart cool completely, then dust with powdered sugar.